Tu Youyou is the first Chinese woman to win a Nobel Prize – helped by ancient Chinese remedy #WomenInSTEM « Adafruit Industries – Makers, hackers, artists, designers and engineers! Via BBC.com – thanks to Richard for sharing! 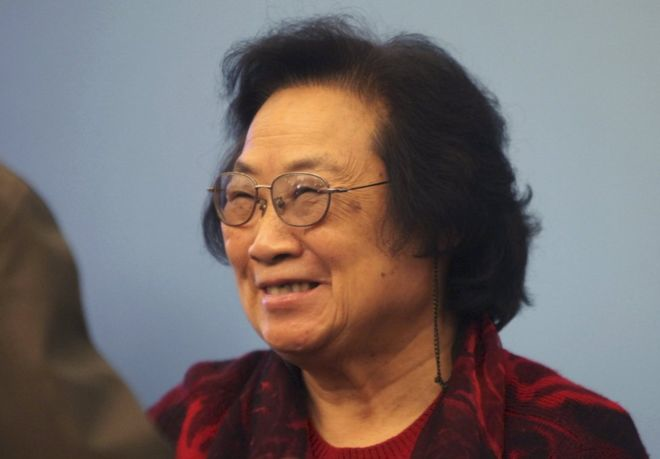 Tu Youyou has become the first Chinese woman to win a Nobel Prize, for her work in helping to create an anti-malaria medicine. The 84-year-old’s route to the honour has been anything but traditional. Tu Youyou attended a pharmacology school in Beijing. Shortly after, she became a researcher at the Academy of Chinese Traditional Medicine. In China, she is being called the “three noes” winner: no medical degree, no doctorate, and she’s never worked overseas. In 1967, Communist leader Mao Zedong decided there was an urgent national need to find a cure for malaria. At the time, malaria spread by mosquitoes was decimating Chinese soldiers fighting Americans in the jungles of northern Vietnam. A secret research unit was formed to find a cure for the illness. Two years later, Tu Youyou was instructed to become the new head of Mission 523. She was dispatched to the southern Chinese island of Hainan to study how malaria threatened human health. For six months, she stayed there, leaving her four-year-old daughter at a local nursery. Ms Tu’s husband had been sent away to work at the countryside at the height of China’s Cultural Revolution, a time of extreme political upheaval. Ancient Chinese texts inspired Tu Youyou’s search for her Nobel-prize winning medicine. Mission 523 pored over ancient books to find historical methods of fighting malaria. When she started her search for an anti-malarial drug, over 240,000 compounds around the world had already been tested, without any success. 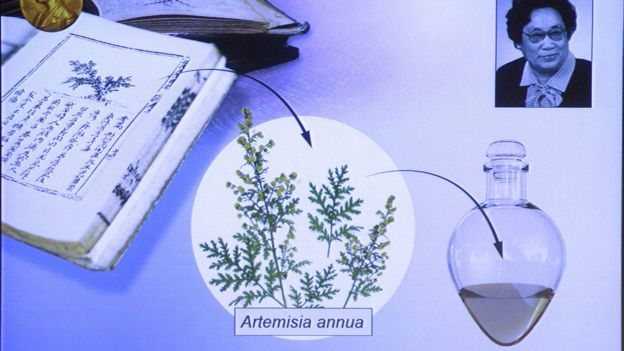 Finally, the team found a brief reference to one substance, sweet wormwood, which had been used to treat malaria in China around 400 AD. The team isolated one active compound in wormwood, artemsinin, which appeared to battle malaria-friendly parasites. After another careful reading, she tweaked the drug recipe one final time, heating the extract without allowing it to reach boiling point. After the drug showed promising results in mice and monkeys, Tu Youyou volunteered to be the first human recipient of the new drug. “As the head of the research group, I had the responsibility,” she explained to the Chinese media. Shortly after, clinical trials began using Chinese labourers.